THESE ARE EATERIES WE CAN DELIVER FROM. DO NOT PLACE YOUR ORDER WITH THE EATERY. ONLY RESTAURANTS WITH UPDATED WEBSITES OR TO-GO MENUS WILL HAVE LINKS. RESTAURANTS WITH THEIR OWN DELIVERY SERVICES ARE NOT INCLUDED IN THIS LIST. MILEAGE CHARGES ADDED TO RESTAURANTS THAT HAVE THE CITY NAME NEXT TO THEM MARKED IN YELLOW. 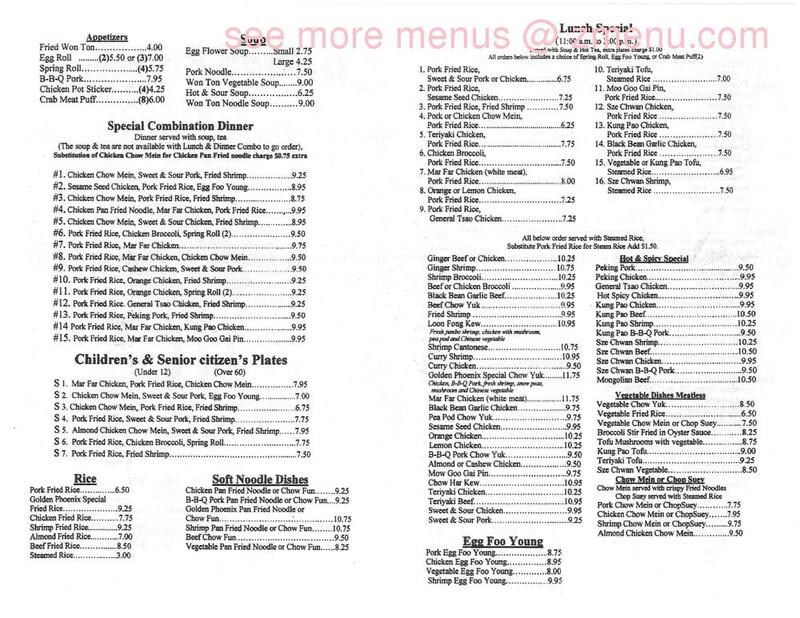 THE PRICES ON THESE MENUS ARE SUBJECT TO CHANGE WITHOUT NOTICE AND SHOULD ONLY BE USED AS A GUIDELINE. THESE EATERIES ARE NOT OBLIGATED TO INFORM TASK RUNNERS OF ANY PRICE CHANGES THAT OCCUR. IF EXACT PRICING IS A CONCERN, YOU ARE ENCOURAGED TO CALL THE RESTAURANT TO CONFIRM PRICING BEFORE PLACING YOUR ORDER WITH TASK RUNNERS. THE PRICE WE PAY THE RESTAURANT AT PICK-UP IS THE PRICE WE EXPECT TO COLLECT AT DELIVERY. ANY DISAGREEMENTS ABOUT PRICING WILL BE BETWEEN THE CUSTOMER AND THE RESTAURANT TO SETTLE. TASK RUNNERS WILL NOT RELEASE ORDERS TO CUSTOMERS UNTIL ALL REIMBURSEMENTS AND FEES PAID BY TASK RUNNERS ARE COLLECTED IN FULL. Does not include extra charges such as extra stop fees and mileage. Applies to all stops AFTER the primary pick-up location. Mileage is charged whenever Task Runners leaves Medford City Limits. It is only charged one-way, and is not discounted. No mileage is charged within Medford. We Multiply The Food Total by 25% To Get Your Delivery Charge. All credit/debit transactions require payment in advance when you place your order. We no longer run cards at the delivery location. If ordering online, we will call for this information before your order is processed. New card customers/users will require ID/card check/signature upon delivery before we release the order. ONLY cash payments will be collected at the delivery location. PayPal orders are accepted for orders up to $50. A text will be sent with the order total once we get the amount information. For all PayPal orders, payment must be received before order is picked up. You MUST have a PayPal account to use this option. For customers that wish to place and PAY for their food order with the restaurant. You MUST coordinate delivery time with Task Runners FIRST to assure availability before calling the restaurant. There may be orders before yours and those will be delivered first. Task Runners offers a 10% discount on delivery charges to seniors over 65 and military. You must ask for the discount at the time of placing your order and each time thereafter. Task Runners does not accept $100 bills as payment due to fakes currently being passed around. We also no longer accept personal and some business checks as payment. We cannot run gift or rewards cards issued from restaurants and all cards used must have the Visa or Mastercard logo on it. THESE ARE EATERIES WE CAN DELIVER FROM. WE ARE NOT AFFILIATED, NOR DO WE CLAIM TO BE AFFILIATED WITH THESE EATERIES. WE ARE A THIRD-PARTY DELIVERY SERVICE, SO DO NOT PLACE YOUR ORDER WITH THE RESTAURANT! MILEAGE CHARGES ADDED TO RESTAURANTS THAT HAVE THE CITY NAME NEXT TO THEM. WE WILL NOT BE ABLE TO GIVE DELIVERY TIME ESTIMATES FOR PLACES THAT WE'VE HAD SERVICE PROBLEMS WITH IN THE PAST (LONG WAIT TIMES/MISSING ITEMS OR WRONG ORDERS/COMMUNICATION ISSUES, ETC)..
ONCE ORDER IS PLACED YOU WILL NOT BE ABLE TO MAKE ANY FURTHER ADDITIONS,CHANGES TO ORDER, OR EXTRA STOP REQUESTS. THE PRICES ON THESE MENUS ARE SUBJECT TO CHANGE WITHOUT NOTICE AND SHOULD ONLY BE USED AS A GUIDELINE. THESE EATERIES ARE NOT OBLIGATED TO INFORM TASK RUNNERS OF ANY PRICE CHANGES THAT OCCUR. IF EXACT PRICING IS A CONCERN, YOU ARE ENCOURAGED TO CALL THE RESTAURANT TO CONFIRM PRICING BEFORE PLACING YOUR ORDER WITH TASK RUNNERS. THE PRICE WE PAY THE RESTAURANT AT PICK-UP IS THE PRICE WE EXPECT TO COLLECT AT DELIVERY. ANY DISAGREEMENTS ABOUT PRICING WILL BE BETWEEN THE CUSTOMER AND THE RESTAURANT TO SETTLE. Cancellation of orders by TEXT is not acceptable. You MUST speak with an actual person before a cancellation will be granted. Customer will still be liable for the order until then. Call 541-951-8275 or order online! Phone and online orders taken until Closing. *Order form may be closed if too busy or booked up for the evening.